Explanation – A new engine will typically have a tight fit between the piston and the tapered piston sleeve. This precision fit between the sleeve and the piston is necessary to create the compression required for maximum engine output. A new RC, though, can sometimes be fitted too tightly and requires a bit of loosening. Solution – Simply follow two simple steps to get going. 1. Make sure the engine is not flooded. A flooded engine has some of the characteristics of a stuck engine. For more information on clearing a flooded engine, refer to Clearing a Flooded Engine. 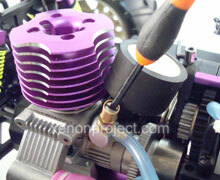 Explanation – A nitro engine relies on a precise fuel/air mixture for maximum engine output. Air is compressed as it enters the cylinder, which allows for the combustion of the nitro fuel. However, as too much gas enters into the combustion chamber, the mixture can no longer be compressed and this causes the engine to lock up which results in the jamming of the pull start. Explanation – The glow plug igniter must be fully charged for an optimal start. If the glow plug igniter is not fully charged, it may lack the power to adequately light the glow plug. This may result in unburned fuel in the cylinder which, in turn, will prevent the engine from starting. Solution – Charge your glow plug igniter by plugging it into its AC adapter or by inserting a fresh battery, depending on the model. 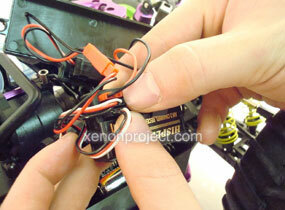 Attach the glow plug igniter to the charger, and plug the charger into the outlet. Charge the glow plug igniter for at least 4-5 hours. Explanation – Most starting problems center on the glow plug, which is responsible for igniting the fuel mixture. If the glow plug is weak or fouled, it will be unable to ignite the fuel mixture in the compression cylinder. This may result in fuel accumulating in the compression chamber thus preventing the nitro engine from starting. Solution – The glow plug in your engine must be replaced periodically to maintain peak performance and allow for easy starting. Most starting and performance issues can be traced back to the glow plug. The easiest way to check for a faulty glow plug is to simply install a new one and see if the problem goes away. However, to test the glow plug, remove the glow plug from the cylinder head with a 5/16" nut driver. Important: Be sure to wipe any excess dirt from the cylinder head beforehand, as dirt can get into the engine. Also, be sure not to lose the copper gasket that seals in the glow plug. Connect the glow plug to the glow igniter. All of the coils of the glow plug should glow bright white. If the first few coils will not glow, and the rest are bright orange, then you either have a bad glow plug or low igniter power. Recharge the glow plug igniter and try again. If this doesn’t work, you have a faulty glow plug and it must be replaced. 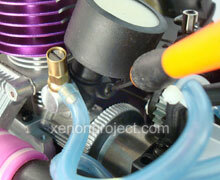 Explanation – Nitro engines use a glow plug to ignite the fuel mixture in the compression chamber. This reaction is what propels your nitro vehicle forward. However, any obstruction preventing the fuel from reaching the engine will prevent your vehicle from operating correctly. Solution – Please check that all the fuel lines are clear of any sort of obstructions. Even a tiny pinhole in a fuel line can cause poor fuel circulation and cause noticeable performance issues. If you doubt the integrity of any of the fuel lines, replace them. Explanation – As the pull start is yanked, the engine will turn over causing fuel to be drawn into the carburetor. Once inside, the carburetor will create the proper air/fuel mixture, where it will be compressed and ignited by the glow plug. Solution – If fuel is not entering into the carburetor, you can prime the engine by placing your finger over the exhaust while pulling the pull start. Make sure to watch the fuel level and be sure to stop covering the exhaust once you notice fuel entering the carburetor. Explanation – An engine's performance is dependent upon the fuel mixture and is regulated by the carburetor, which, in turn, is regulated by a high speed, low speed, and idle speed setting. Once the proper mixture is achieved, it will be sent to the engine, compressed, and ignited by the glow plug. Solution – Adjustment of the high speed, low speed, and idle speed settings will tune your carburetor for peak performance. The carburetor can be adjusted to increase (richen) or decrease (lean) the amount of fuel in the mixture which has a direct impact on engine performance. If the engine runs longer than 3 seconds, then give the low speed needle a 1/16 turn clockwise. Run the vehicle again and retest. Repeat as necessary. If the test results in the engine dying immediately, without speeding up, richen the low speed needle by giving it 1/8 turn counterclockwise. Run the vehicle again and retest. Repeat as necessary. Explanation – Nitro fuel refers to the type of fuel used in glow engines. Commonly found in nitro RC vehicles, this fuel is what powers the engine. Solution – Simply refuel your nitro vehicle. Lift the lid on your vehicle’s fuel tank and insert the fill tube. Slowly squeeze and fill the tank until full. Be careful not to overfill the tank and make sure to wipe off any excess fuel on your tank after filling. Explanation – Nitro fuel is largely composed of methanol, a form of alcohol. Methanol is a hygroscopic substance, meaning that it absorbs moisture from its surroundings. This can cause your fuel to become contaminated with water, and will translate into poor engine performance. Moreover, the UV rays in sunlight will eventually break down the nitro methane in your fuel if it is stored in sunlight for extended periods of time. Indications that your fuel is contaminated include: the inability to start the engine at previously run valve setting, poor idling capabilities, and varying RPMs while idling. Solution – Simply remove all the present fuel, and refill with new, uncontaminated nitro fuel. Step 1: First remove any excess fuel remaining in the fuel tank. Remove any leftover fuel by squeezing your empty fuel bottle and inserting the nozzle into the fuel tank. Once in, release the bottle and this should remove any excess fuel. Repeat this process until all fuel has been removed from the tank. 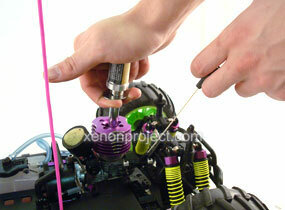 Step 2: Clear any fuel remaining in the fuel line and carburetor. You can skip this step if you ran your engine until the fuel tank was dry or if the engine was starved out. Otherwise, insert the glow plug starter and fire up the engine. Once on, let the engine idle (it will run for a few seconds, idle up then stall) until any remaining fuel in the carburetor and fuel line has burned off. Explanation – The engine cylinder moves up and down, as it takes in fresh air and releases exhaust from the burned fuel. If the tailpipe is blocked, exhaust will not be able to leave the cylinder which, in turn, will inhibit fresh air from entering into the engine cylinder. This will prevent engine combustion, and stop your engine from functioning properly. Solution – Check the exhaust pipe, and remove anything that may be obstructing the airflow within the exhaust, such as dirt and debris. Explanation – Regular use of your nitro RC, especially while off-roading, will take its toll on your nitro engine’s air filter. The filter’s purpose is to prevent any dirt and debris that could potentially deteriorate the integrity of your engine from entering the chamber. It is recommended that the filter be cleaned once for every hour of runtime. Even if the filter appears clean, clean it anyway, as there may be tiny amounts of dust and debris in the filter. Step 1. Remove the air filter. 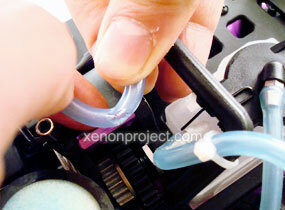 Remove the air filter from the engine carburetor by slowly and carefully pulling it off. Be very careful to not damage the carburetor tubing. Step 2. Take apart the filter. 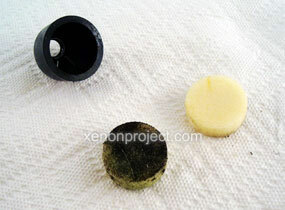 Having removed the filter from the carburetor inlet, take apart the filter pieces and pull out the foam insert. Step 3. Washing the filter. 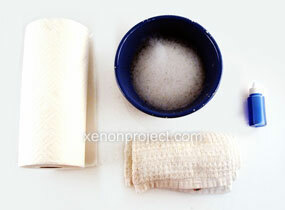 Using your hands, carefully scrub and rinse off every piece of the filter assembly. 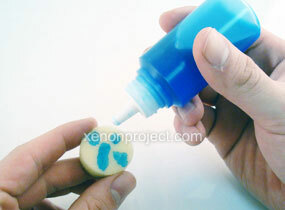 Thoroughly wash all filter pieces with soapy water and rinse each part under running water. Step 4. Rinse and dry each part of the filter. Rinse off the air filter, and carefully dry each individual part. You can use a bottle of compressed air to help speed along this process. Step 5. Oil the insert and reassemble the air filter. 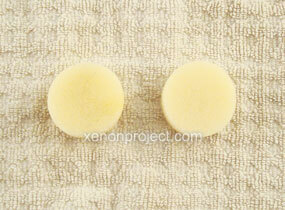 Saturate the foam element by spraying the foam with filter oil. Apply about 30 drops of oil evenly to the top, bottom and sides of the filter element. Squeeze the filter in order to spread the oil around the foam. The filter should have oil evenly spread out throughout the foam. Coat the foam with oil, then reassemble the air filter. Step 6. Reassemble the air filter and install onto the engine. 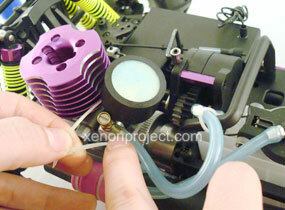 Reassemble the air filter by placing the foam back into the filter casing and reattaching the casing onto the engine. If you wish, you can use a zip-tie to secure the filter to the engine. This will improve airflow, as it will create an airtight seal around the filter. 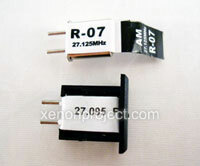 Explanation - For the transmitter and receiver to function properly, they must receive adequate power. 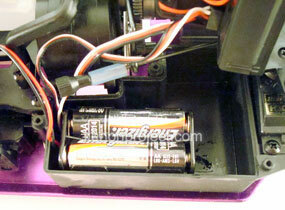 Solution - Make sure the batteries in both the transmitter and receiver are brand new. Warning: Weak or dead batteries will result in poor radio transmission and possible vehicle damage due to loss of control. 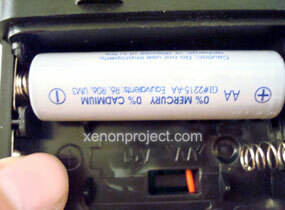 When inserting batteries, be sure that they are inserted with the correct orientation. 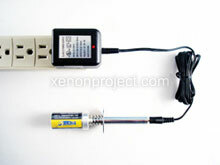 With the small directional markings, it can be easy to improperly install the batteries. Explanation - When an input is made by moving the control stick or pulling the trigger, a radio signal is sent out via the transmitter antenna and picked up by the receiver, which is located within the model. Solution – First, verify the antenna on the receiver is in proper, working condition. Make sure the antenna is neither damaged nor torn. Make sure the antenna on the receiver has not been damaged or torn, and the antenna on the transmitter is properly screwed in and fully extended. Explanation - Both the receiver and transmitter need their own crystals, on identical frequencies, to operate correctly. Solution – Please locate the crystals on both the transmitter and receiver. Verify that the frequencies match. Explanation - Once a radio signal is received via the receiver antenna, it is translated into physical movements by the servo. Solution – Make sure all of the servos are firmly connected to the receiver. 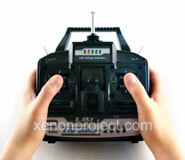 Take the transmitter in your hand, and move the sticks around to verify the operation of every servo. Begin with the transmitter in the neutral position. Do not move any of the control sticks. 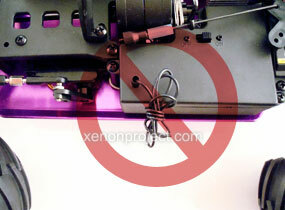 Verify that there is no movement from any of the servos during this process. If you notice movement, you may be experiencing interference from another source. 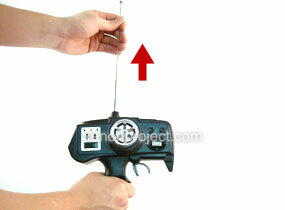 Now, take your transmitter and move the control sticks, wheel, trigger, etc. in its full range of motion. Verify that these commands correlate to the same movements on the servos. 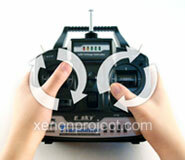 Isolate the controls that direct each servo and verify that each individual servo is operating properly. 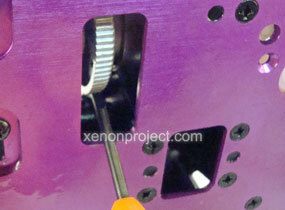 Trim adjustments allow you to fine tune your servo positions. Make sure to verify your trim adjustments are working properly as well. Not all RC’s come with these trim adjustments, so if it is not included in your transmitter, no need to worry. If any of these three examples fail to work on your RC, you may have a busted servo. Simply visit your local hobby shop and find an appropriate replacement.